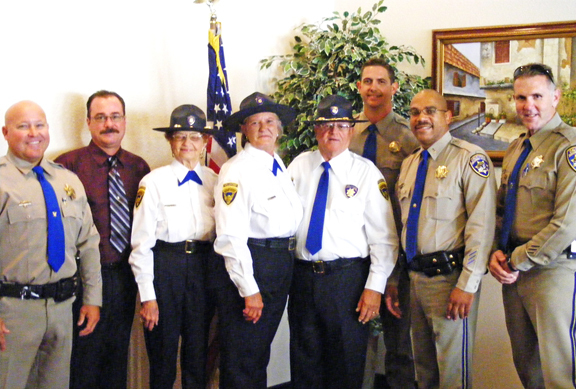 This is the third “Good Samaritan” we have discovered in Mojave, and we are inspired by the selfless service of these individuals. 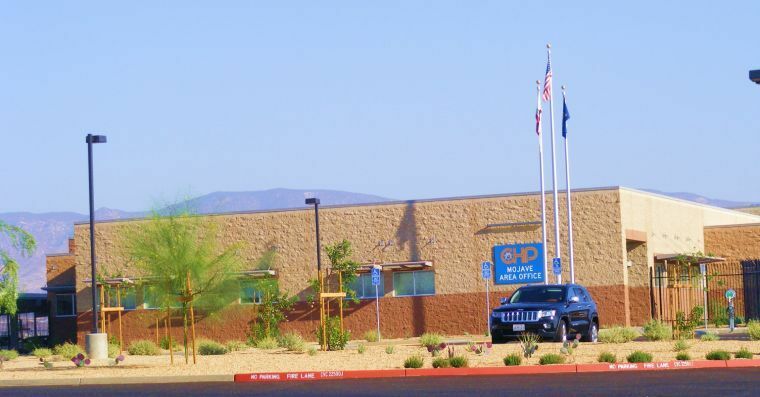 The Mojave Foundation salutes Mr. Smith and others like him, who do not seek praise, nor compensation – they only implore that the rest of us do more to “take better care of each other”. 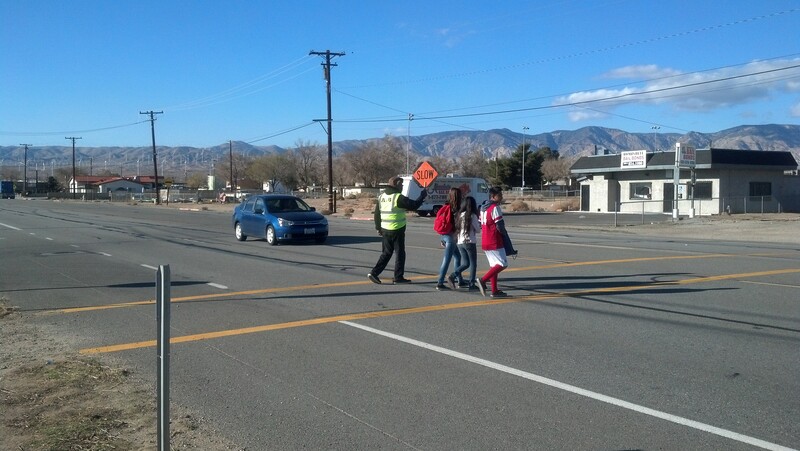 We encourage all residents to say thank you to Mr. Smith, or better yet, pick up a safety vest and help him stand guard and protect our children. 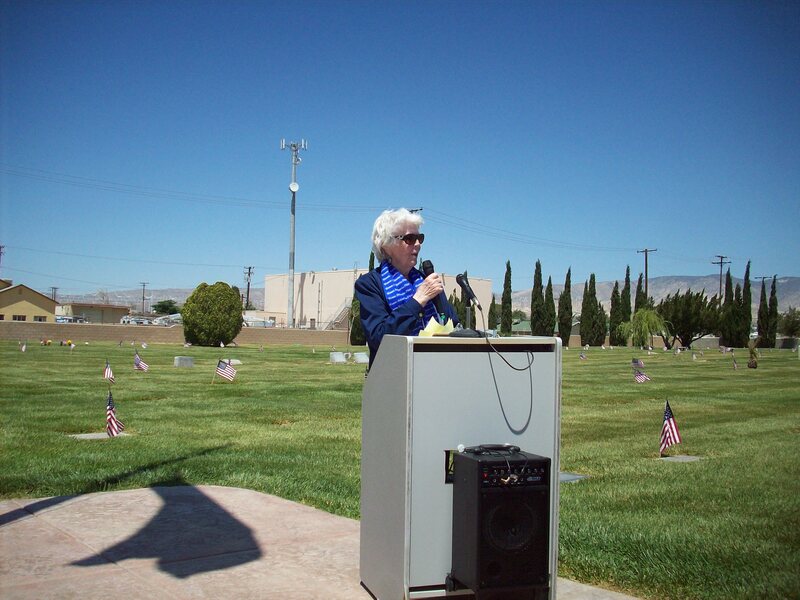 This entry was posted in Mojave CA, Selfless Service, Uncategorized on December 5, 2013 by mojavefoundation. 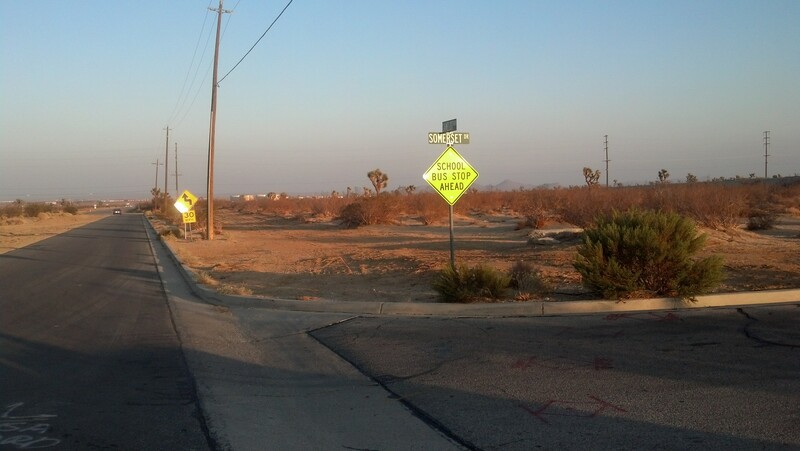 October 17: Mojave is fortunate enough to have a local resident who has single-handedly cleanup up six empty lots in the last three months. John Davis, 53, pictured left, cleaned up his latest lot on K Street this week, generating 20 garbage bags of trash and yard waste in the process. 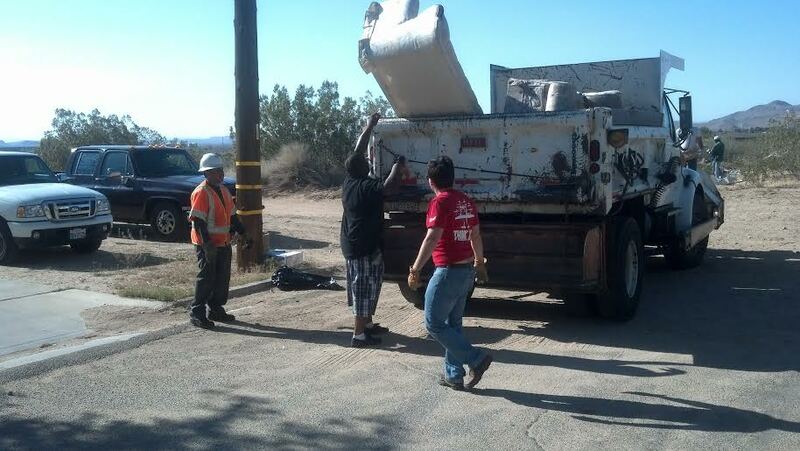 Local residents helped take some of the bags to the dump this weekend, but John labored over 2 days to clean, rake and pick up all the trash in this lot. John, who is currently unemployed, typically labors for days at a time – FOR FREE. “I get bored” says John. 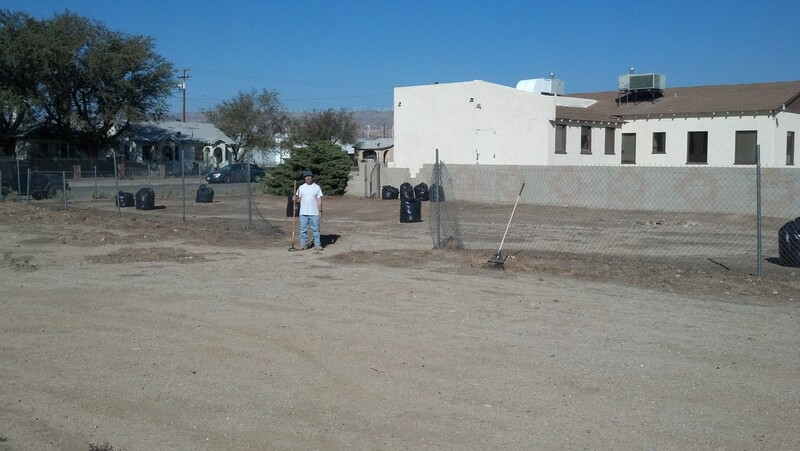 “I just want my neighborhood to be nice.” Mojave has approximately 45 empty lots in our downtown area, and John has cleaned up or helped to clean up most of them. John’s selfless contributions are critical to preventing Mojave from sliding into disrepair, and setting the stage for future investment. 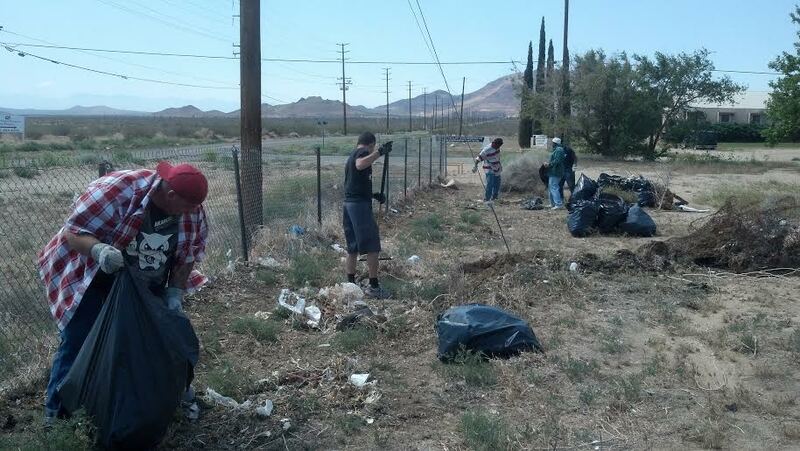 The Mojave Foundation is proud to highlight John’s efforts and work with him on future cleanups. Next time you see an empty lot, you can thank John for keeping it from getting out of control. Next time you see John, go ahead and say thanks! …even better, give him a hand, or give him a job! 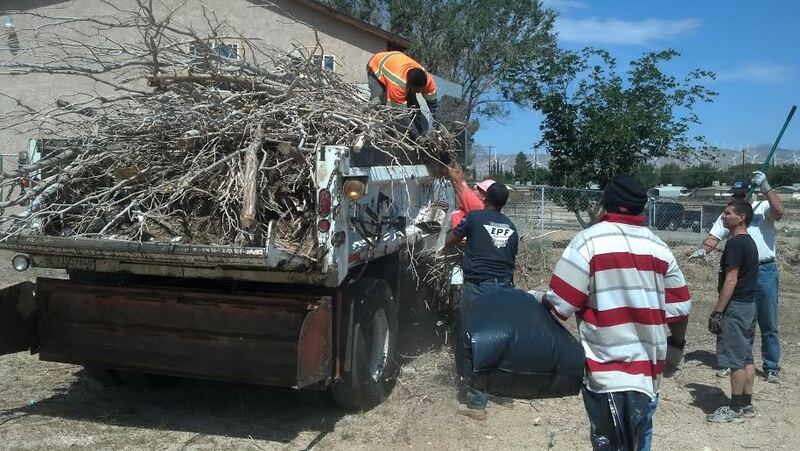 This entry was posted in Beautification, Cleaning up, Selfless Service on October 20, 2013 by mojavefoundation.